World Cup Free Kick Spray: Yes it Can! 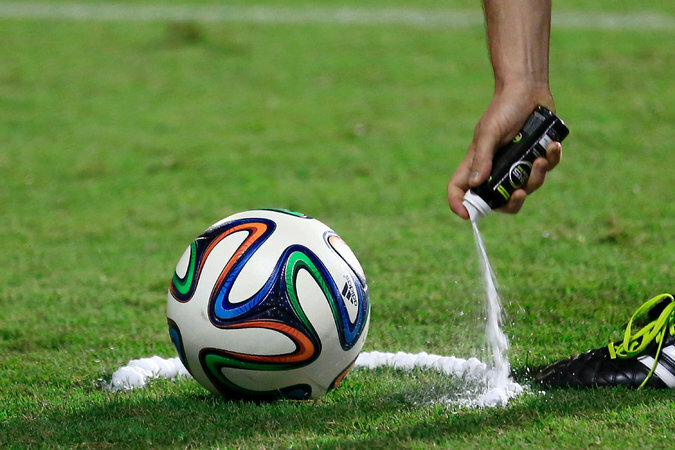 One of the superstars of the 2014 World Cup is the free kick spray. FIFA launched it for the World Cup to help referees when a free kick is on. The greatest ideas are the most simple ideas. The free kick spray is definitly one of them. Today World Cup kits overviews for Federations in group C. Let’s have a look at Colombia, Ivory Coast, Japan and Greece playing kits..
adidas unveiled the brazuca Final Rio Official Match Ball, the official match ball for the Final of the 2014 FIFA World Cup Brazil. The ball will be an integral part of the Final on 13th. adidas launched its official #all in or nothing campaign for World Cup 2014. An ad that features Lionel Messi experience a World Cup dream. Coca-Cola, a FIFA World Cup partner launched its marketing campaign centered around football as a driving force for good and peace. The stories portray the life in Japan, Eastern Europe, the Amazon and Ramallah where life is a daily struggle. 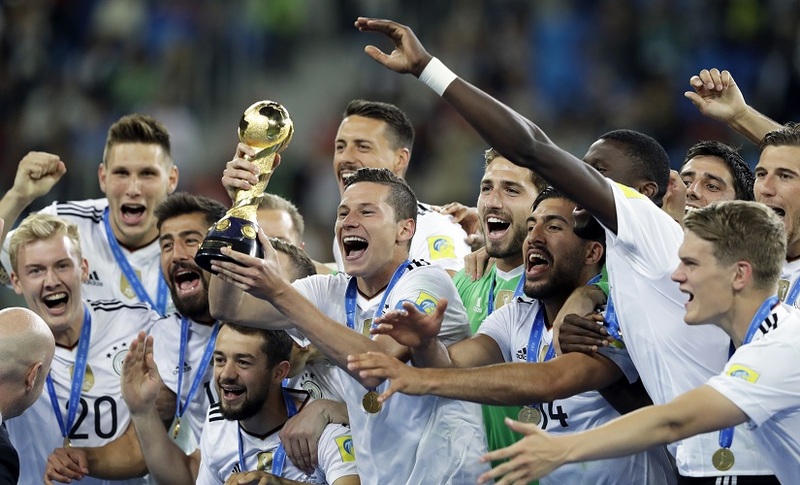 FIFA and Sony have extended their range of 4K broadcast initiatives for the 2014 World Cup national team tournament. FIFA released its annual financial report showing a positive result of USD 72 million for the 2013 financial year, with 72 per cent of FIFA’s expenditure being directly invested into football over the same period.